- Location-based heating control: TADO° recognises whether the resident is at home, is leaving the house or is on the way back home. Automatically turns down the heating. - Control from anywhere: the TADO° app makes it possible to access the heating system directly and to adjust individual settings at any time, in any place. - Save up to 31% on your heating bills: using the intelligent and energy-saving heating control of TADO° saves valuable energy and up to 31% of heating costs. 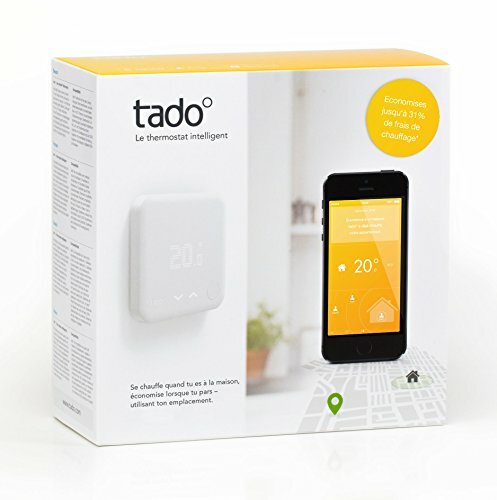 - Weather forecasts integration: TADO° takes into account the weather Forecast to ensure the most efficient heating control. - Geofencing: automatically turns down your heating when the Last person leaves home and begins to warm up again when it detects the first person returning - using your smartphones' locations.